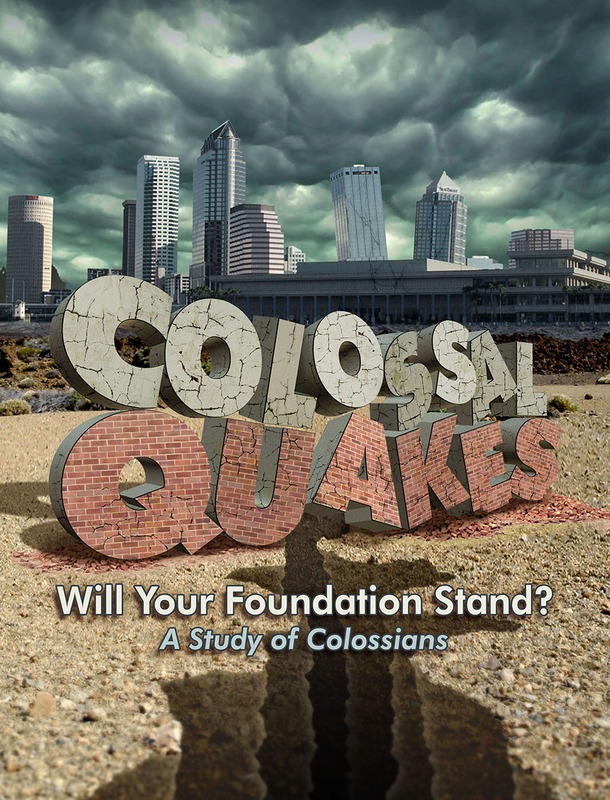 South Tampa Fellowship needed materials for their series on Colossians. We went with an earthquake theme. I tilted and added cracks to some of the buildings in the Tampa skyline for the main visual. They also wanted their devotional to match the theme. I designed the layout and formatted the text of the devotional. PDF excerpt below.